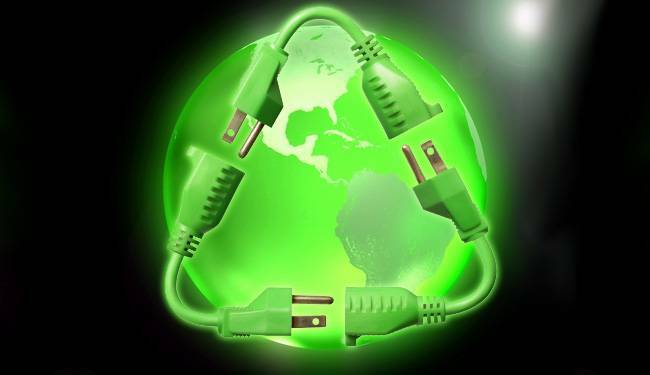 Inherently, our devices don’t seem particularly green. They are made up of a bunch of plastic and metal. They mostly run on battery power. About the only obvious green benefit of electronic technology is the reduction in paper waste and the resultant forest preservation. Thanks, email. However, your tech is pretty green already (beyond the tree-saving). You just have to know where to look for the opportunities to put the eco-friendly features to use. All of that plastic and metal is recyclable. Rechargeable batteries save energy and prevent waste. Read on to learn more about these earth-friendly actions and more ways to green your tech! The EPA reports that “for every million cell phones we recycle, 35 thousand pounds of copper, 772 pounds of silver, 75 pounds of gold and 33 pounds of palladium can be recovered.” Plus, for every million laptops that we recycle, we save enough energy to power more than 3500 U.S. homes for a full year. Contact your local waste management agency and find out where you can take your electronic recyclables (e-cyclables). The EPA advises to delete all personal information and remove batteries, which can be recycled separately. You could try to avoid purchasing new products altogether and just upgrade your old electronics with new software or hardware. However, that’s not always a viable solution and sometimes we just have to bite the bullet and buy new. When you’re shopping for new tech, look for eco-friendly products. Things made from recycled materials, packaged with using less material and elements that are non-toxic and recyclable are all indicators of eco-friendly products. Also look for companies that offer annual sustainability reporting on their products and processes. That way, you can know the numbers before you buy. Could you imagine having to replace the battery every time your mobile phone died? Those rechargeable batteries save you a lot on the cost of powering your devices. However, you can save even more on powering your devices by following this one simple rule. Don’t leave your device plugged in for longer than it takes to reach full charge. The jury is still out on whether leaving your devices plugged in will hurt your battery life. Some sources say yes, others say no. If you are a devil-may-care type who prefers to throw caution to the wind, you may want to consider this: Leaving your device plugged in beyond a full charge costs you more money. Your phone, tablet, laptop, what-have-you is drawing energy as long as it’s plugged in. Unplug it from the charger and unplug the charger from the socket after your device has reached full charge. It may not affect your battery life, but leaving it plugged in will certainly affect your electric bill. Green upshot: you’ll be using energy more efficiently and that’s good for the environment AND your wallet. Greening your tech is easier than you might think if you just take a few small steps to devote a bit more attention to your gadgets—where they come from, where they end up and how much they cost you (and the planet) while you have them.